[Research Press Release] How do horses read human emotional cues? Scientists demonstrated for the first time that horses integrate human facial expressions and voice tones to perceive human emotion, regardless of whether the person is familiar or not. 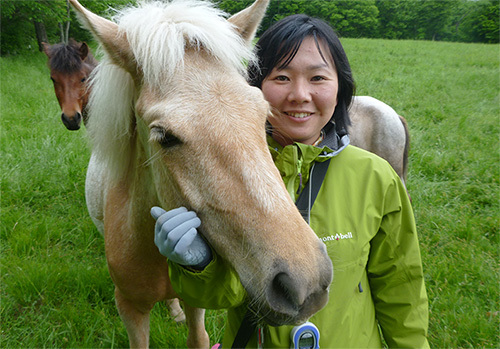 Nakamura K., et al., Cross-modal perception of human emotion in domestic horses (Equus caballus), Scientific Reports, June 21, 2018. This study was supported by a Grant-in-Aid for Young Scientists (B) (15K20946) and Grants-in-Aid for Scientific Research on Innovative Areas (No. 26118004, No. 30172894).